Authorities say that last week, five men entered Kruger National Park in South Africa to illegally kill a rhino. Instead, one of those men was killed by an elephant in the park. According to the Washington Post, the four surviving men have been arrested. Authorities say the elephant attacked “suddenly,” and that the men dragged the body to the road, hoping someone would find it. They then left the park and told the man’s family about the attack. The family alerted a regional ranger for a popular game reserve, who promised he would “do everything possible” to recover the body. The area of the Kruger where the men were allegedly poaching is known to host a large portion of the park’s rhino population, along with many of its lion prides. 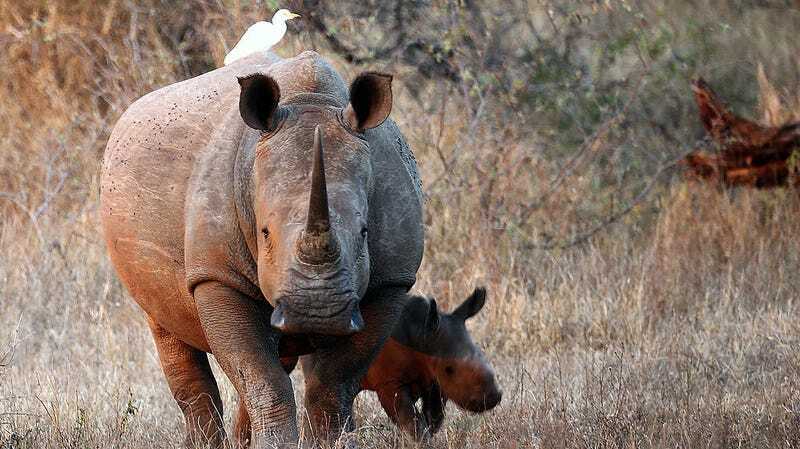 There are currently 20,000 rhinos in South Africa, 80 percent of the worlds population. And though 8,000 rhinos have been killed by poachers since 2009, the Post reports that rhino poaching is currently on the decline.